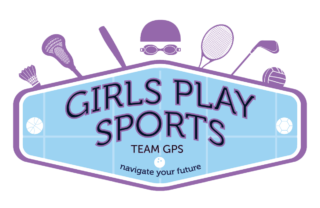 Join Our Team – Girls Play Sports, Inc. Explore current job opportunities below! Are you a high school, college or grad student looking for hands-on experience with a non profit? Perhaps you are a stay-at home parent with time on your hands and wanting to give back. Wanted: Curious, thoughtful, creative, energetic, intelligent interns and volunteers! The GPS After School Clinics help introduce your sport to 4th and 5th grade girls, so we are looking for fun, upbeat and outgoing student coaches that want to be ambassadors for your sport to the next generation of Wildkits. We’re looking for a content creator who loves to write in short, engaging tidbits. While social media might be second nature, we’ll teach you how to be strategic with communications and channels. You will help to create content and a content calendar. You will actively manage social channels for our non-profit organization. This is a hands-on internship, where you’ll not only see and hear how things work, you’ll gain practical hands-on experience. Self starters and learners encouraged to apply. This is a PT (10 hrs/month) remote position. We’re looking for a budding designer who knows his or her way around the Adobe Creative Suite and is starting to build a portfolio. During this internship, you’ll get the chance to design digital and print collateral. If you are as eager to learn as you are nimble in graphic media, we want to see your portfolio and invite you to apply. Self starters and learners encouraged to apply. We’re looking for a budding photographer who is comfortable capturing action shots with sometimes horrible lighting (think lighting in gyms). You must be adept at editing or ready to learn. During this internship, you’ll get the chance to attend events and capture photos of our programs in action. This includes sports programs and fundraisers. If you are eager to take some action shots and love to edit, we want to see your portfolio and invite you to apply. This is a PT (10 hrs/month) position that will require you to travel to local events that will be in Evanston, Skokie or Niles. We’re looking for a great writer who enjoys building relationships with others and networking. This intern will work on a variety of event and donor-related communications tasks with the Director of Business Development to help sustain and expand revenue. The intern will assist in planning and implementing effective fundraising initiatives, grant research and meeting preparation related to corporations and foundations. This position provides an intern with an opportunity to broaden their understanding of the communications field, as well as nonprofit operations, through hands-on experience. If you are eager to help us grow fiscally so we can bring our programs to other communities, we encourage your to apply. This is a PT (2-5 hrs/week) remote position.